If you are locked into a closed loop control system, what you don’t know CAN hurt You! The manufacturing industry as a whole has been very conservative in moving to the freedom of web-based control and data reporting. It’s true, once we lived in a world without cell phones (if you ask us, things were better then), but that’s not the best mentality to have when dealing in such a competitive market. Factories have long since enjoyed the automation of increasingly accessible machines. That’s why Connell Industries has excelled in making sure you get true maximum potential from your current system and process. This can be hacks like machine placement to utilize every square inch of your facility or greater insight into where profits are slipping through the cracks for whatever reason. In the end, you need the data to inform the best path of execution. You should see the faces of prospects when we present our web-based Inductive Automation software solutions and demonstrate its power! We pulled up the application for decision makers at an international packaging company. Their jaws hit the floor when they realized they could look at the same screen as their technician and get insight into what’s going on – from anywhere in the world. Of course, the next thing they asked was how much the bells and whistles would cost to view this data from home, the road, or overseas. We told them they already have the technology. Any phone or computer with access to the web can view the data via a web browser! The ease and simplicity to update the system and drill-down into the data is always a hit with management. 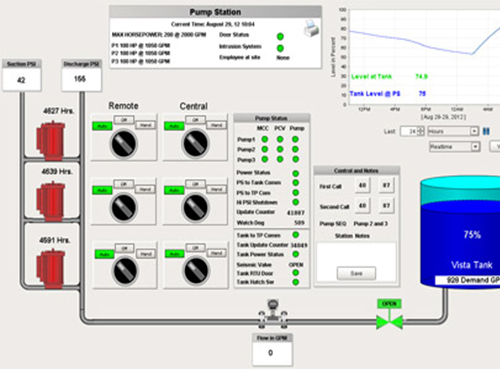 Performance, bottle counts, output, scheduled maintenance, and much more is available to everyone in real time. One of the capabilities of having real-time data enabled is that it gives Connell Industries the ability to provide 24/7 remote support. Every manufacturer suffers with machine failure at some point. The time it takes to get back up and running shouldn’t be extended by spending time diagnosing the problem. Connell Industries has trend data and expertise when it comes to diagnosing the root of the problem, freeing up technicians to remedy the cause much faster by knowing exactly where to look. 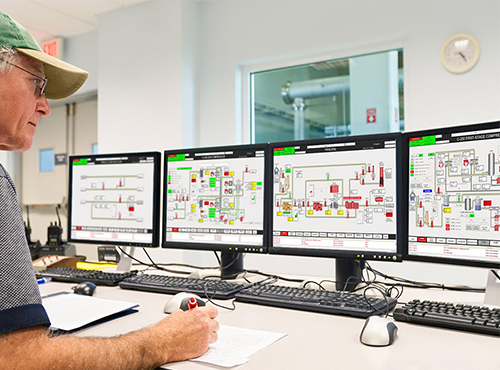 We also monitor trends in machine performance to offer wisdom into the best times for routine maintenance. Remember the days of no cell phones? We used to have to drive 3 or 4 hours to a vendor location to diagnose a problem, charge them for that time, in addition to the time they lost not producing goods. Trust us, we miss the good ol’ days of no internet… but we have to admit it makes a lot more sense to use the internet when profitability is at stake. We understand manufacturers hesitation to move to fancy software and internet-based data, we really do. New functionality tends to mean the plant needs to buy new software, pay licensing fees for more employees or clients, purchase extra functionality and constantly update operating systems… Sheesh! Nobody has time to deal with all of that; which is why we don’t force them to. The industry has been stuck in a cycle of being bullied into buying more tags, add-ons, and licensing to do what was promised in the pitch. The beauty of our Inductive Automation software is that it only needs to live on one computer. That means one license, now and forever. Even if you scale and double the user count, you only pay once (and believe us, it will pay for itself with how much time and money it saves). One success story from Inductive Automation software is with Graham Packaging. GP was facing a costly discrepancy between how many bottles were made, and how many the customers claimed they received. As a result, GP was being back-charged for loss of product. Our solution helped identify a problem that underlied the original assumption. We were hired to track bottle count, and provide counter-proof against claims of missing goods. It quickly became apparent that an added benefit would result from also tracking equipment downtime. This was able to identify key problems resulting in miscounts or missed deadlines. Inductive Automation’s Ignition platform has proven over time that you don’t know what you don’t know, unless you capture the data and trends needed to identify a problem’s root cause. The root cause will then lead to the correct solution. 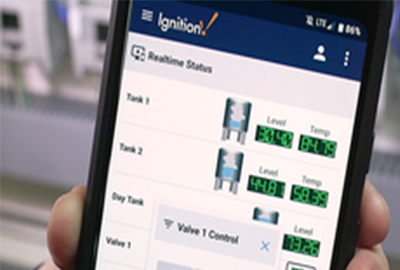 That is why an Ignition SCADA system is so valuable because you can access real time system data from any personal device, any day at any time. The result will be quicker, more informed decisions that will maximize productivity and increase your profits. Inductive automation software has proven time and time again that you don’t know what you don’t know. Once presented the data, in addition to being accessible in real time from anywhere, you’re presented with a greater opportunity to make informed decisions that result into maximum productivity and greater profits. Don’t take our word for it. Contact us today to schedule a live demonstration and see for yourself.